I messed up big-time with the first 3DS Fire Emblem game, Fire Emblem: Awakening. Sure, I bought it at launch and played a tiny bit of the story, but was soon distracted by other new games (hey, 2013 was a really good year, and I always did prefer Advance Wars). I missed out on what would go on to become one of the most lauded 3DS games of the handheld’s lifespan so far, capturing fans that earlier Fire Emblem games would have left behind. I will not make that mistake again with Fates. An epic, triple-pronged narrative, plenty of customisation options and some very promising StreetPass features should see to that. When’s It Out? No official Aussie/EU date, but my money’s on April given that’s when Awakening came out over here. How Keen Am I? Colour me the white of Hoshido, because I’ll be there with bells on from day one. Like a few other games on this list, Knights of Azure has only recently appeared on my radar. Featuring a ludicrous story set-up that could only have come out of Japan (two protagonists – one of whom can summon/assimilate/transform into demons – fight a race of former humans that literally steal night away), the action-focused RPG gameplay of Knights of Azure looks flashy, fast and promising. When’s It Out? Allegedly April 2nd, which gives the JRPG landscape of 2016 the feel of a nice even spread already. How Keen Am I? We’re now in “maybe” territory, especially considering the significant non-RPG games that are expected in April. But if it reviews well I’ll give it a look. I only got a PS2 late in the console’s life cycle and missed quite a few of its most praised games, one of which was Vanillaware’s painterly 2D action RPG Odin Sphere. Even though the talented studio also made the wonderful Muramasa: The Demon Blade and Dragon’s Crown, I keep hearing that this supposedly multi-perspective, Norse-inspired PS2 game was their finest work. And now it’s coming to PS4, even prettier than it used to be. Guess I’ll have to get it. When’s It Out? The word is June as far as the States go, but given Atlus is the publisher, it could be several months before we see it down under. How Keen Am I? 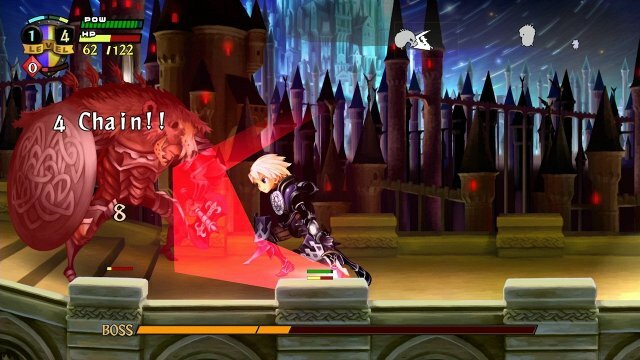 I really liked Dragon’s Crown and just love looking at Muramasa, so this high-profile remake is looking mighty good to me right now. 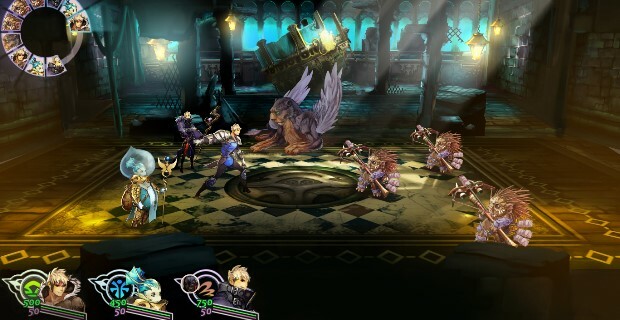 From its initial 2014 reveal to its recent appearance at the last PlayStation Experience conference, Zodiac: Orcanon Odyssey (bit of a mouthful) has looked pretty damn good. Eye-catching art direction is one reason, as is the writing of veteran Final Fantasy scribe Kazushige Nojima and an intriguing mechanical core centred on the Chinese zodiac. The game did come out on the App Store for iPads and iPhones recently, and reviews haven’t been crash-hot, but there is allegedly an air of unfinished-ness to the experience, especially given that Zodiac was intended to be a free-to-play title at one point in its development. A PlayStation double-release is imminent, and hopefully the game will have ironed out some more kinks by then. When’s It Out? Sometime this year, probably (hopefully?) when the iOS version is able to be deemed “complete”. How Keen Am I? As I just mentioned my anticipation has died down a little recently, but if the game can tighten itself up and release on Vita in a timely fashion, I’ll be snapping it up. This game is just so odd. Initially teased as a crossover between the Shin Megami Tensei and Fire Emblem franchises, the Atlus-helmed Wii U exclusive resurfaced last year as one of the most unapologetically Japanese RPGs ever greenlit for a Western release by Nintendo. 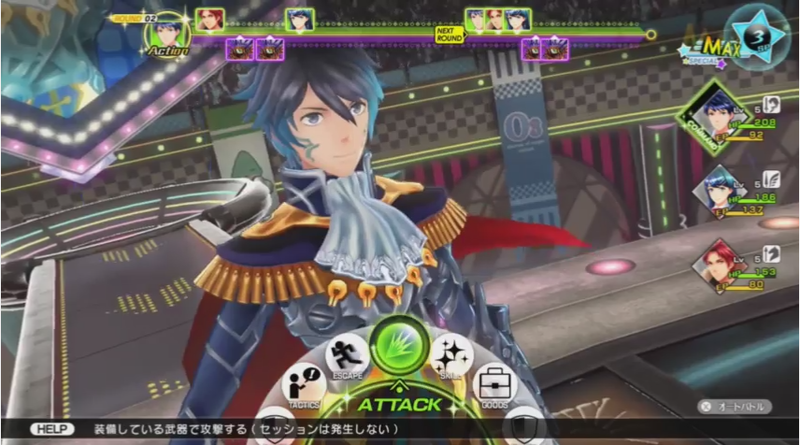 It is now a hyper-colourful excersise in Eastern visual flair starring pop idols who can summon modified Fire Emblem characters as “mirages” to aid in battle, and at first glance it appears to have much more in common with the Persona franchise than either SMT or indeed Fire Emblem. That’s hardly a bad thing of course, and I’m very curious to see how its localisation turns out. When’s It Out? It only just hit Japan barely a month ago and looks to be packed with text, so probably the second half of the year, if it makes 2016 at all. How Keen Am I? The more Persona-like elements I see, the more keen I am to play this acid trip of a game. And oh yeah, it’s a Wii U exclusive, so I’ll probably just get it anyway. 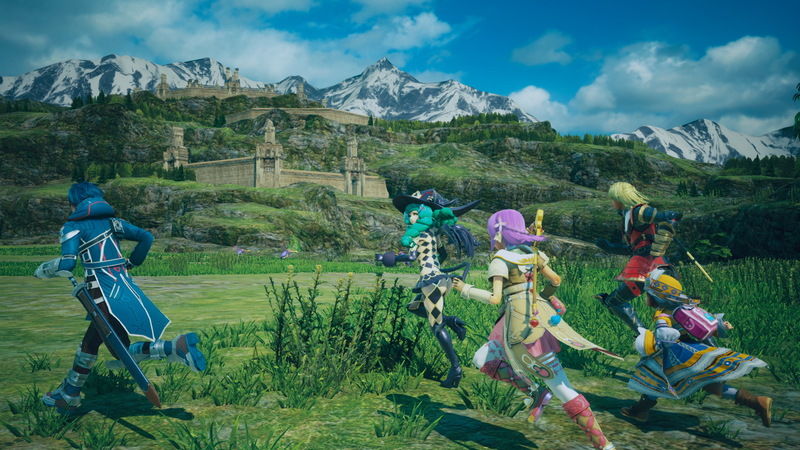 Last year’s poorly paced Square Enix E3 press conference was nonetheless stacked rather promisingly with news of JRPG localisations, and one of the more prominent (and actually close to finished) of these was the fifth main Star Ocean title, Integrity & Faithlessness. Aside from boasting a sensationally convoluted title, the game is one of the more graphically proficient of the examples on this page and is developed by a hugely underappreciated development house in the form of Tri-Ace. Hopefully it doesn’t get buried over here by the big names. When’s It Out? With an already-delayed Japanese release date of March 31st, this could come here late, but I can’t see it arriving later than October for some reason. How Keen Am I? I have precisely zero first-hand experience with the Star Ocean franchise, but I’ve seen the name come up on internet forums and such so many times over the past decade that I reckon this one will be worth a shot. Yes, technically this is two games, but 16 just isn’t as nice of a round number as 15 is, so here they are together in one entry. As far as the Dragon’s Quest series goes, I have about as much experience with it as most Western gamers would – meaning not a lot – but it has been a big deal for ages. The series has been slowly making its way out of Japan via gradual remakes, and 2016 will see that process accelerate with a double dose of 3DS remakes. Quite a few people lost their minds at the localisation announcement of these remakes during the latest Nintendo Direct. When’s It Out? VII should be out before the year is through – maybe even in the first half. As for VIII, it’s less likely to make 2016, but it could still sneak in around Christmas if it’s far enough along. How Keen Am I? Playing even one of these may be a bridge too far for me, but it all depends when they come out. Last year’s announcement of this umpteenth stop-gap title in the Kingdom Hearts series was greeted by more of a resigned sigh from KH fans than your traditional hype. In theory, it’s a good package, featuring a full HD remaster of the near-essential narrative chapter Kingdom Hearts: Dream Drop Distance, for those who never picked up a 3DS to play it. There’s also two sequel-prequel episodes to play/watch, one of them featuring fan-favourite heroine Aqua. And yet at this point, the very long wait for Kingdom Hearts 3 (which is absent from this list for a reason) has become somewhat of a running joke, so the timing of 2.8‘s reveal wasn’t great. When’s It Out? For the sake of the series’ long-suffering fans, I hope as soon as humanly possible. How Keen Am I? This game is probably about as far from newcomer-friendly as it gets, especially in terms of story. So no thanks. Occupying a similar spin-off/tribute space as Final Fantasy Explorers, this endlessly adorable new RPG was highly regarded enough by Square for the company to debut it at Sony’s E3 2015 press conference, just before the megaton Final Fantasy VII remake announcement. 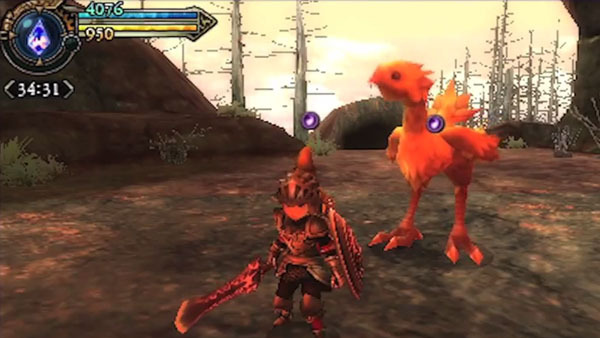 The game follows twin protagonists Lann and Reyne as they explore a world filled with 3D chibi versions of classic Final Fantasy characters and creatures. Promising some old school turn-based mechanics bolstered by a clever (and cute) character stacking feature, World of Final Fantasy is looking mighty good. And it’s coming to Vita! When’s It Out? It looks pretty far along, and while that’s rarely a good indication with Square, I’m feeling that at least the PS4 version will be out this year. How Keen Am I? Keen, keen, keen. When Square Enix announced at E3 last year that they would be opening a surprise new studio, Tokyo RPG Factory, I doubt I was alone in thinking their first game “Project Setsuna”, wouldn’t be out for a long while. 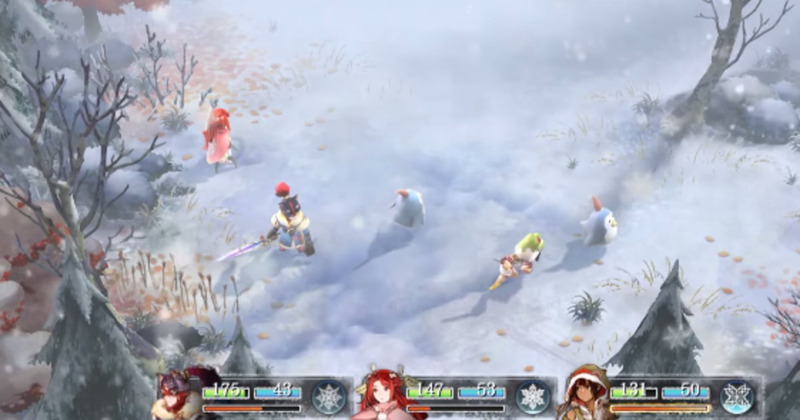 Yet months later the new studio debuted some pretty solid, if brief, footage of a top-down, artistically gorgeous winter-themed game with a battle system that calls to mind the look and feel of Chrono Trigger. Never a bad thing, mind. When’s It Out? I’m a bit shocked we’ve seen as much of this game as we have, which is the whole reason it’s on this list, but I’m still a bit hesitant to call it a lock for 2016. How Keen Am I? I kinda hope it sneaks into early next year so I can give it my full attention. If so I’m much more likely to pick it up. Looks great. 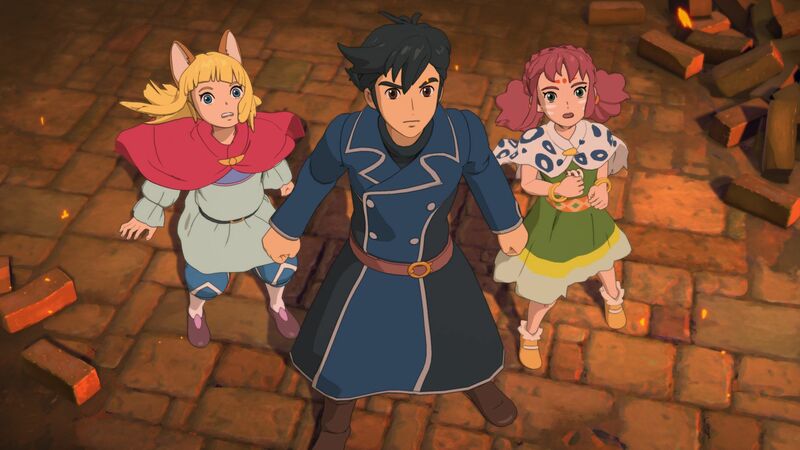 The first Ni No Kuni on PS3 was an amazing testament to the fact that JRPGs could still sell in significant numbers in the West, even in the 2010s. Sure, it had the highly-publicised participation of beloved anime movie house Studio Ghibli, but developer Level 5 still did its reputation no harm with the game’s superbly-received action RPG battle system, Pokémon-esque “familiar” system and heartfelt coming-of-age story. The December 2015 reveal of a suprising PS4 sequel has a lot of people tremendously excited. When’s It Out? The first game was delayed a few times, so this one could easily end up that way too, sneaking out of 2016. But it could also not. So I don’t know. How Keen Am I? I didn’t get very far in the first one – I left it for my brother to play instead – but given its reception I’ll be paying a lot more attention to the sequel. Every delay suffered by Persona 5 is painful to fans, but Atlus’ vaunted Persona Team is a trusted source of phenomenal RPGs, and so we take them in stride. 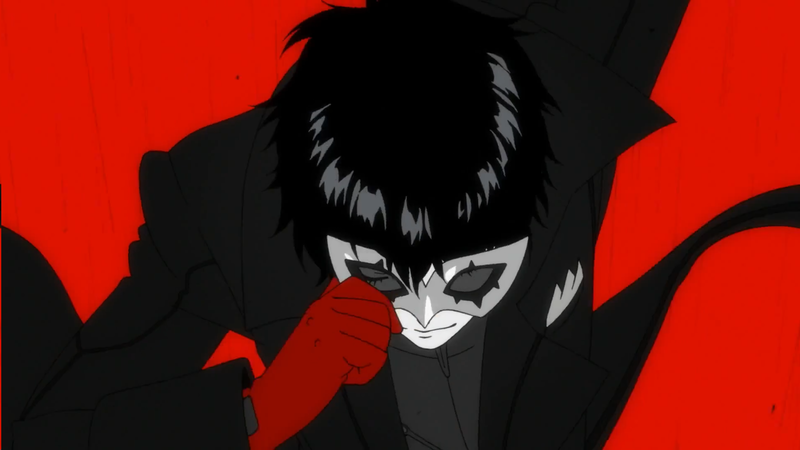 Every hyper-stylish new glimpse shown of the game is positively mouth-watering, from its heavily metropolitan look to its mysterious anti-hero protagonists to its Catherine-carrying engine to its surprisingly varied gameplay snippets. Persona 3, Persona 4 and their various spin-offs/versions were some of the very highest quality Japanese role playing games of this century, and while that puts an awful lot of pressure on 5, the game is shaping up very nicely indeed. When’s It Out? The current word is mid-2016. That doesn’t mean a whole lot, but it would still be fan-freaking-tastic. How Keen Am I? Not only keener than I am for any other game on this page, but any other 2016 game, period. This is the kind of game for which I plan leave time, pay exorbitant express delivery fees, and shut the world out. I can’t wait. No game I’ve mentioned on this page is as technically good-looking, expensive, high-profile or long-awaited as Final Fantasy XV. Carrying the highest name in JRPGs, which has been under considerable critical bombardment in recent times, FF XV was initially announced as Final Fantasy Versus XIII all the way back in 2006, which means that, yes, if it comes out this year it will have been a literal decade in the making. The last year of development has been Square’s most transparent, as the development team has been forthcoming in illustrating its constant tweaks to the game’s original vision, all in order to address fan feedback from 2015’s extended demo Episode Duscae. Said demo was quite promising, but the proof will be in the black leather pudding. When’s It Out? Well, we will apparently be getting the official date at a big event hosted on March 30th. That hopefully means it will, in fact, actually come out this year. Maybe even third quarter. Probably fourth. How Keen Am I? Persona 5 may be my personal pick of this page, but Final Fantasy XV is a close second, and it will understandably have many more eyes on it. There are just… Just too many. Too many, I tell you.